Employees’ experience as consumers have changed their expectations towards collaboration technology in their workplaces. As consumers, they already expect easy integration and compatibility with other devices. They have become increasingly familiar with personalisation of content thanks to Spotify, Netflix, Amazon and others. They want the same interface and experience of technology regardless of where or when they use it. Yet, when it comes to technology within meeting rooms, collaboration spaces or board rooms – nothing is predictable, nothing is easy to use and systems used by employees on a daily basis on their laptops and mobiles such as Skype for Business, Microsoft Teams or Outlook suddenly become non inter-operable or banned. Employees find themselves equipped with unified communication applications across all their devices except the ones used in the meeting rooms. Participants revert to laptops to attend web and video conferences and squeeze in front of the webcam and microphone. Efficiency, quality and collaboration get compromised, and frustration grow. Enterprises must adopt a more personalised approach to meetings and collaboration technology where audio, video and content sharing are integrated in the same way as the personal devices world. Talking with IT professionals, we know that customers are tired of investing and maintaining systems that only serve one part of the collaboration equation. Too often, audio, web and video conferencing solutions are built in silos that are not inter-operable nor consistent across meeting rooms and different offices locations. And given the wide diversity of devices, software platforms and access modes in play; collaboration rooms need to be transformed to optimise the experience for participants. It should indeed replicate the ease of the desktop experience and bring it into the larger and more immersive context of collaboration rooms. By improving this internal hurdle, organisations will create operational excellence: ease of use, better employee’s satisfaction and confidence in the systems. This in turn will drive more frequent usage of meeting rooms, more in real-life interactions and conversations, better collaboration and more productivity overall. As we have seen, business meeting rooms are ill-equipped to foster true collaboration. So it is only logical that the meeting room should adopt the technology users know best, and be as user-friendly as possible. Collaboration technology such as Skype for Business or Microsoft Teams, but also the integration and recognition of personal calendar and contacts, should be streamlined with the desktop and mobile experiences employees are already used to. 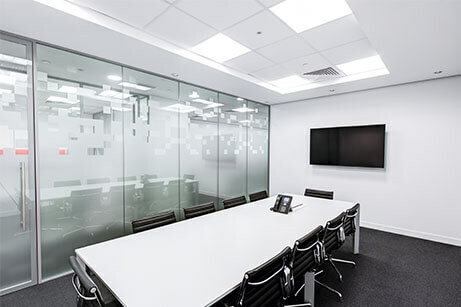 A personalised experience within the meeting rooms is great way for companies to bring employees away from their desktops and into the meetings rooms. It’s in these environments where people meet and where multiple content sources can be shared and discussed and where multiple participants virtual or in the room can exchange expertise. The benefits of collaboration are well known, amongst some are cost-effective use of time and resources, knowledge sharing across the organisation, innovation and problem solving. Cyviz will be attending UC Expo 2019 in London, May 15th-16th. We will be presenting how personalising the user experience in large collaboration rooms is becoming key for organisations. Also, make sure to pencil in Wednesday 15, May 13:40 pm – 14:10 pm, in the Future of Work theatre. I will be raising a lot of the issues addressed in this article and ask the question on Why you should bring personalisation to your large collaboration spaces. 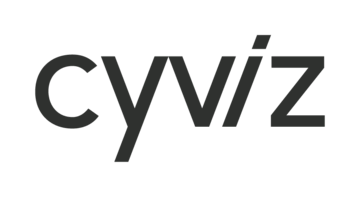 To discuss personalising meeting rooms with Cyviz, why not Register Free here for UC EXPO 2019?